Wedding > Inspiration > What Is Bridal Market? If you read a lot of wedding blogs, or follow a lot of wedding folks on Twitter you may have seen a lot of posts about "bridal market" last week. If you're wondering what that is, no it isn't about mail order brides. Bridal Market is the wedding industry's version of Fashion Week, which, for you non Project Runway fans, is a bunch of fashion shows crammed in to one week in NYC so that buyers can buy and bloggers can blog. Unlike Fashion Week, Bridal Market is not just about the high end stuff. Many of the dresses that are shown at "Market" will actually make their way to your local bridal salon in the months to follow. So, it's worth taking a look at what some of the more fashion focused blogs were commenting on last week. As you might imagine, the girls at Glamour Weddings were all over the shows last week. They showed some special love for the multi-colored Romona Keveza collection. Keveza wasn't the only one showing red wedding dresses (the normal color in Asian countries). 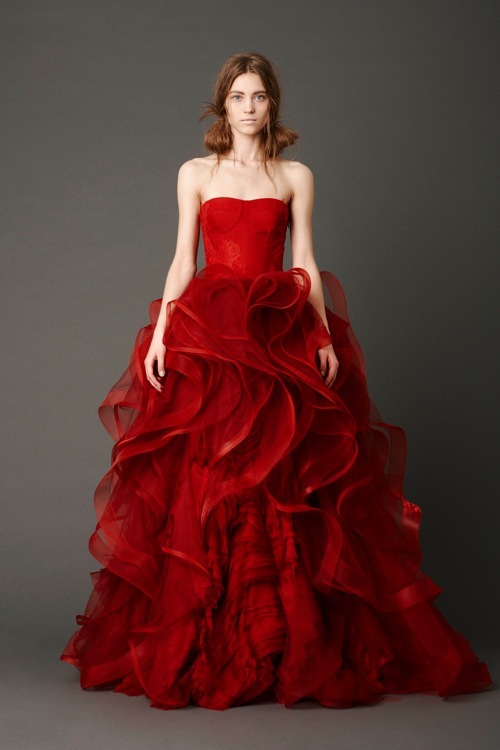 Following up her all black collection last year, Vera Wang had several red wedding dresses this year. Merci New York has some great shots of the eye-popping red trend. Not everyone was seeing red. 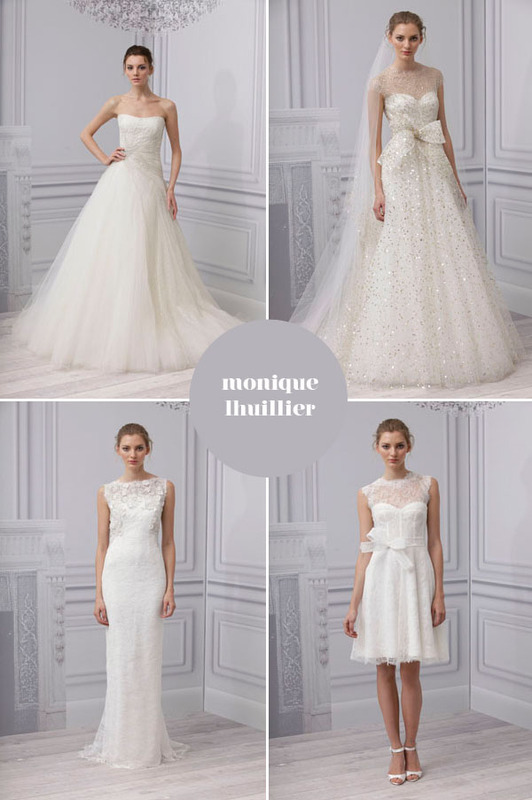 As Brooklyn Bride pointed out with these amazing photos of the Monique Lhuillier line. What do you think? Are you seeing any styles like this as you look for your wedding dress?